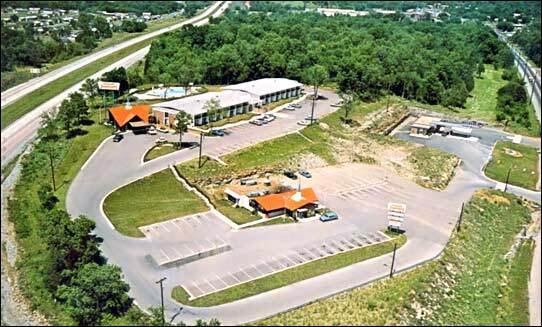 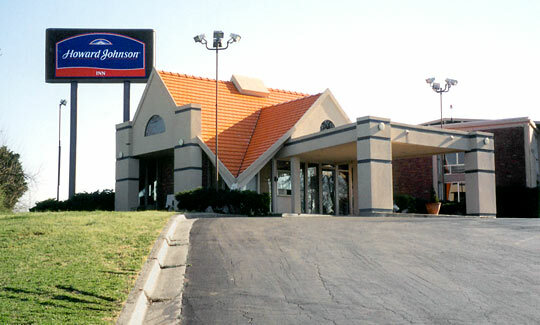 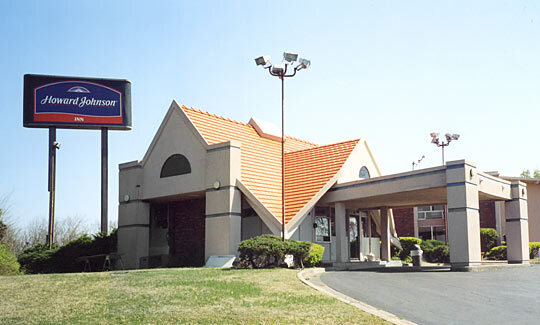 Opened in 1968, Nashville's second Motor Lodge complex was situated on a lofty site overlooking Interstate 40. 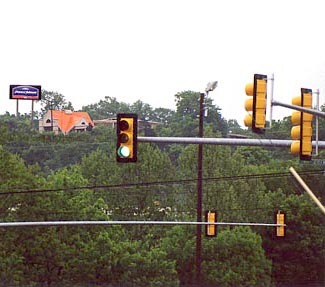 Back when it was built, the cleared land would have allowed the complex to enjoy excellent visibility. 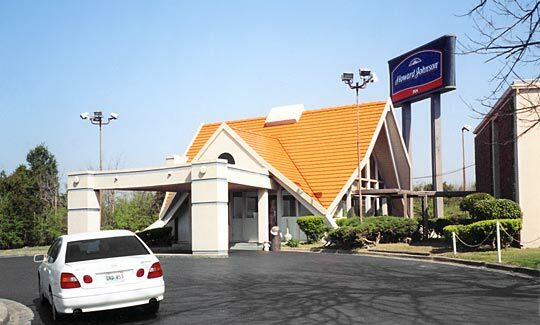 Moreover, for travelers headed in the direction of Memphis, its location was ideal to capture people motoring west since its exit was one of the last leaving Nashville to offer gas, food, and lodging! 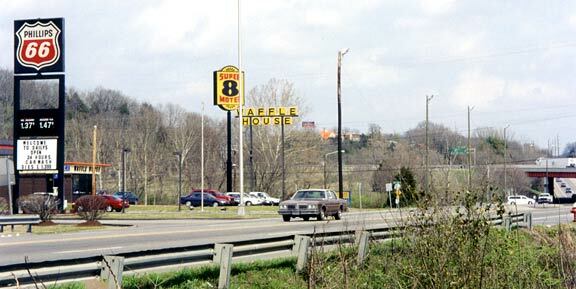 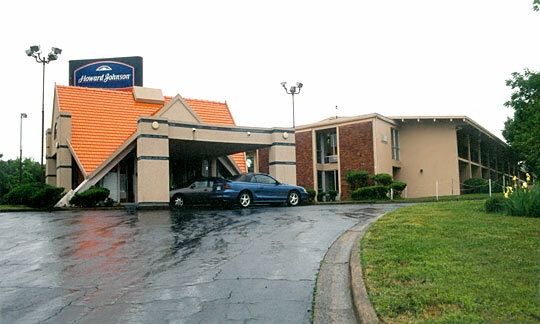 Although it was perhaps a bit worn by the early 2000s, the Nashville-West Motor Lodge was in remarkably good shape considering that it was approaching its 40th anniversary by the time of these photos. 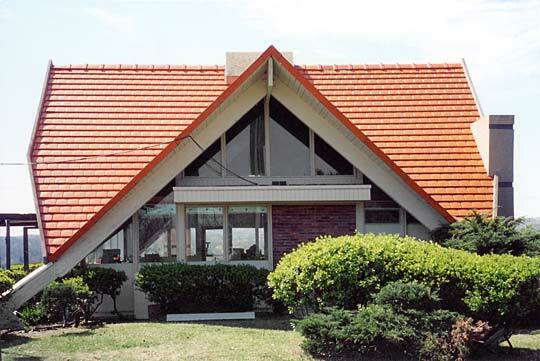 Having been gently remodeled in the middle 1980s, the property suffered a somewhat harsh make-over to its Gate Lodge in the 1990s. 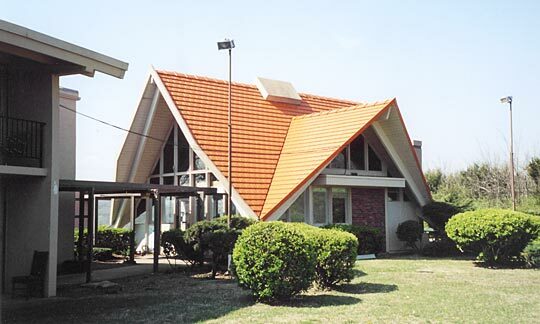 Nonetheless the Gate Lodge remained a speculator sight even though three of its sides had been "squared" and its spire and weather vane removed. 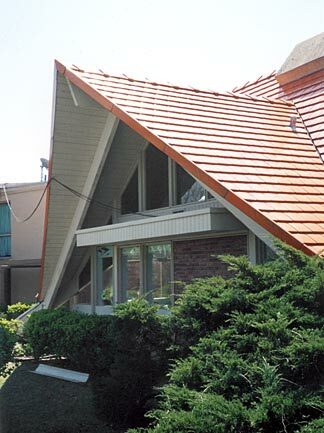 Right: Hidden from HFS/Cendant's (HoJo's brand owners during the 1990s) destructive view, the back side of the Gate Lodge was never squared off, and its brick was not stuccoed over! 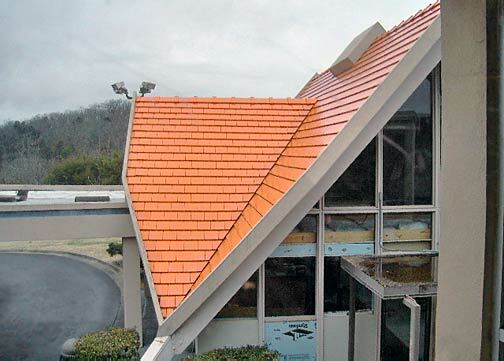 Below: Seen from the second floor corridor of the guest building, insulation indicated where a false ceiling was installed in the Gate Lodge. 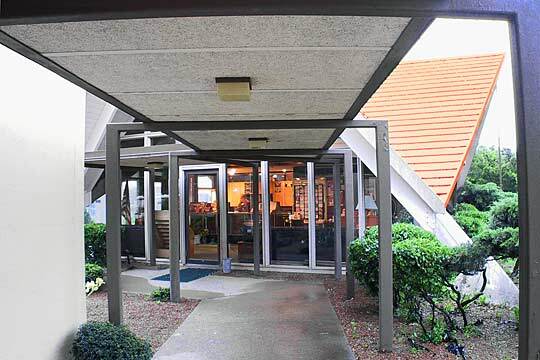 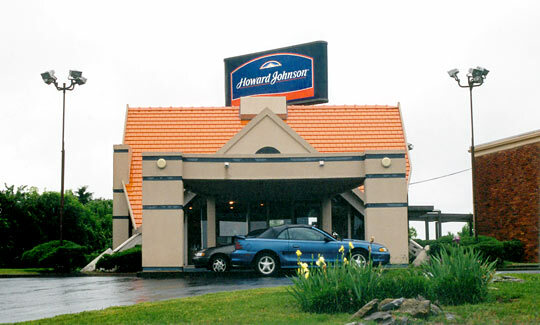 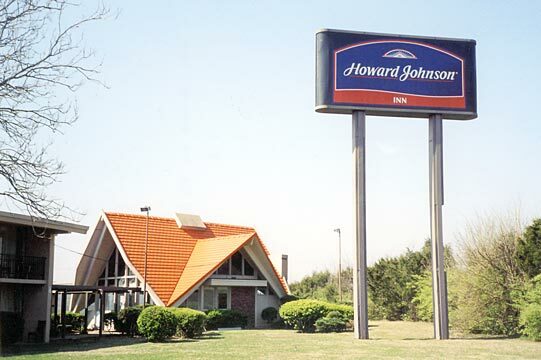 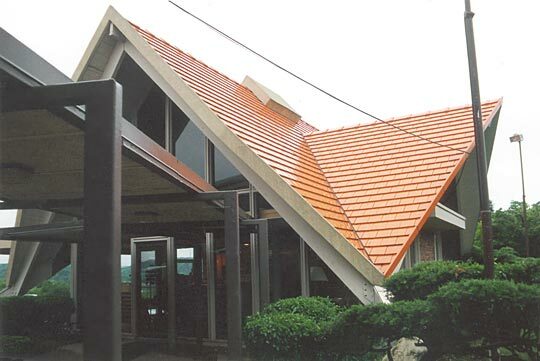 Above: Save for its false ceiling, the Gate Lodge's interior left no doubt for patrons that they were inside a Howard Johnson's lobby. 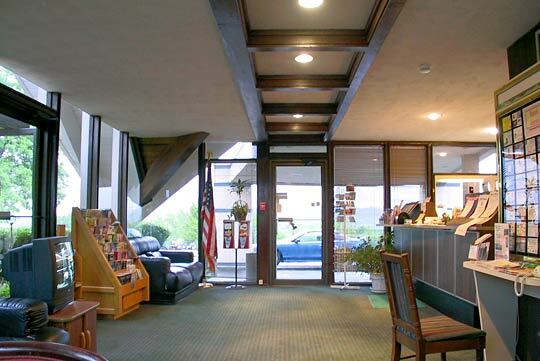 Note that the reception desk fronted with rectangular panels and trimmed in metal was original to the property. 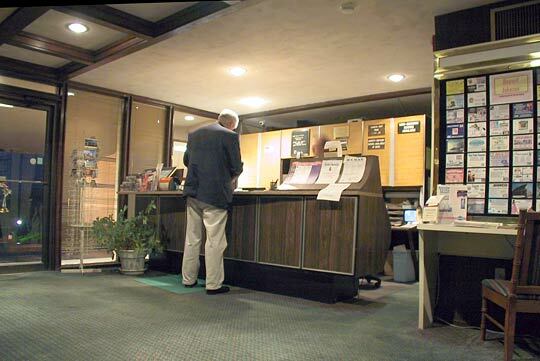 Below: A traveling businessman dressed properly in his sport coat and slacks checks in to the HoJo's. 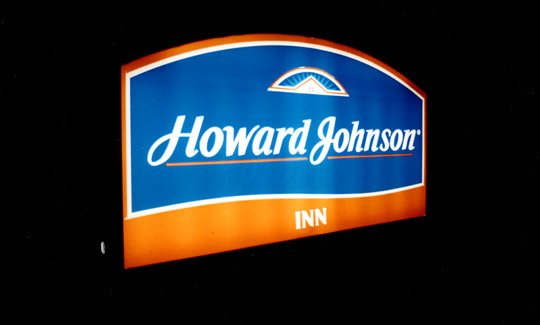 Note to his left was an original orange colored "dial-a-mile" distance checker to the next Howard Johnson's!